One of the reasons tourists choose to holiday in Goa year after year is the warm and welcoming people. You're not just a visitor to their state, but a friend in their home whom they are happy to share their culture and traditions with. The local phrase ‘Susegado’ perfectly depicts the way of life in Goa meaning to take it easy and enjoy life to the full - the perfect rule of thumb to adopt during a Goa holiday. The official language of India is Hindi, although most states have their own dialect. In the state of Goa, although English is widely spoken and is the national language of education and commerce in India, the main language in Goa is Konkani. What is your name? Tujhe naav kitte? 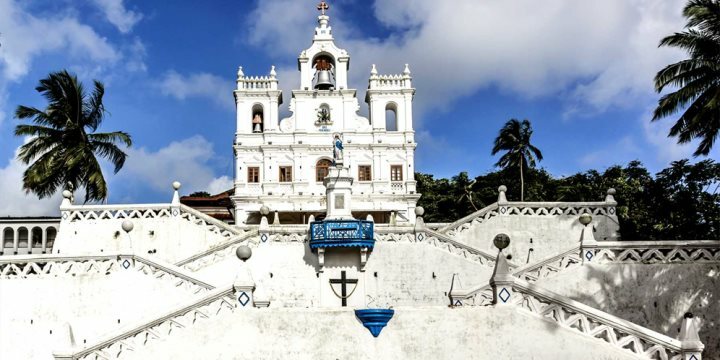 Religion is an important part of everyday life in Goa, and there are three main religions represented in the state - Hinduism which accounts for around 60% of the population, Christianity (30%) and Islam (10%). Before Goa was colonised in the 16th century by the Portuguese, Hinduism was the prominent religion in the state however after the invasion, the Portuguese imposed Roman Catholicism onto the population. By the time that Goans were once again free to choose their religion, Christianity was well rooted into the state. Goa has now become a very tolerant state in terms of religion. Hindus, Christians and Muslims live amongst one another harmoniously and in fact, they have taken on many common traits from the Renaissance architecture in Goan temples to Christian prayers being sung in Konkani. 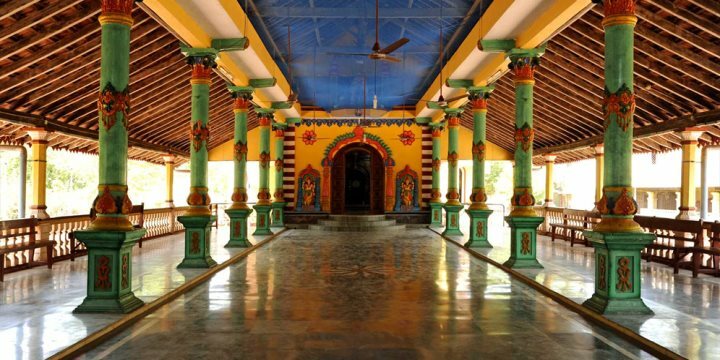 As you travel around the state you are sure to see both religions peacefully residing next to one another – white washed Christian churches stand tall next to elaborate temples of a Hindu origin and the occasional mosque.